Black and Nakamura start things off. Nakamura with punches and kicks. Nakamura blocks a kick and Black with a leg sweep and front face lock. Ricochet tags in and Black with a kick and Ricochet with a standing moonsault for a near fall. Ricochet with a front face lock and Matt tags in and Sheamus tags in as well. Sheamus runs into a boot and Matt with a screaming elbow drop to the back of the head from the turnbuckles. Jeff tags in and Jeff with a leg drop while Matt hits a baseball slide. Cesaro distracts Jeff and then he tags in. Cesaro with a kick and a leg drop for a near fall. Cesaro sends Jeff into the corner and Rusev tags in. Rusev with shoulders in the corner. Rusev with a reverse chin lock. Rusev pulls Hardy to the mat. Jeff with elbows but Rusev pulls Jeff down by the hair. Rusev kicks Jeff. Nakamura tags in and he kicks Jeff. Cesaro tags in and kicks Jeff. Rusev tags back in and Jeff with a sit out jaw breaker. Ricochet makes the tag and he punches Rusev. Ricochet with a handstand head scissors and drop kick. Ricochet with a running shoulder into the corner and he kicks Nakamura on the apron. Rusev punches Ricochet when Ricochet goes for a springboard move. Cesaro sends Ricochet into the announce table and then he hits a gutwrench suplex onto teh apron. 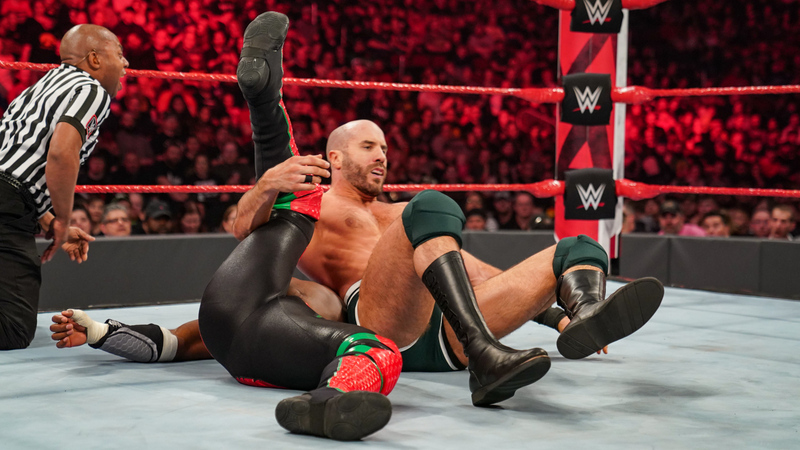 Cesaro with a reverse chin lock. Sheamus tags in and he kicks Ricochet. Sheamus and Cesaro with a double clothesline followed by a knee drop. Sheamus with a reverse chin lock. Ricochet with a jaw breaker and Rusev tags in. Rusev with a double sledge to the back. Rusev gets a naer fall. Rusev puts Ricochet on the turnbuckles and tags in Nakamura for the running knee. Nakamura with a rear chin lock and knee drop. Cesaro tags in and punches Ricochet. Cesaro runs into a boot and Ricochet with punches out of the corner. Rusev tags in and kicks Ricochet when Ricochet tries to make the tag. Rusev punches Matt and has words for Black. Sheamus tags in and he kicks Ricochet. Sheamus with a back breaker and reverse chin lock. Ricochet with punches and Ricochet sends Sheamus over the top rope to the floor. 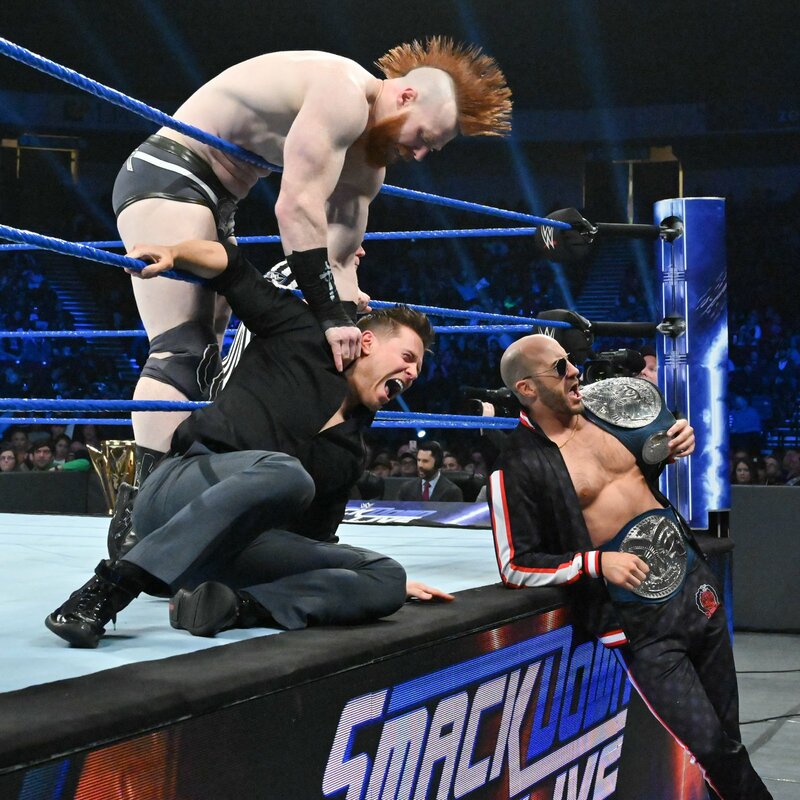 Cesaro pulls Sheamus to the ring and he tags in and stops the tag by kicking Black off the apron. Ricochet with a back body drop and Matt tags in. Matt with clotheslines to Cesaro followed by punches and he sends Cesaro into the turnbuckles. 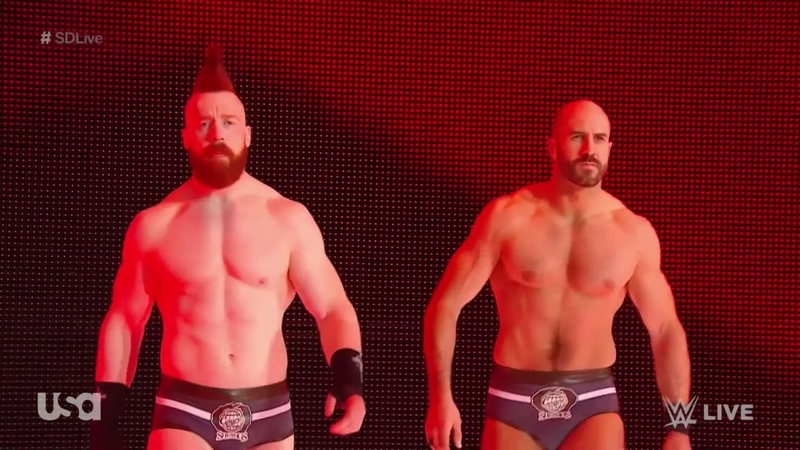 Jeff tags in and they Irish whip Cesaro and Jeff with Poetry in Motion and Matt with a Side Effect. Sheamus with a Brogue Kick to Matt. Black with a knee to Sheamus. Ricochet with a clothesline while Nakamura kicks Ricochet and Jeff with a kick to Nakamura. Hardy with a Twist of Fate and he goes up top and hits a Swanton for a near fall. Sheamus and Matt with punches and then everyone pairs up. The New Day make their way to the ring and they go after Nakamura and Rusev so the referee calls for the bell.